A collection of the most enticing holidays this season, blended so perfectly that you would savor it till the last drop. A strong recommendation for those, who are looking to etch some serene memories and reunite the spirit of family bonds. A UNESCO world Heritage site, is easily one of the India's richest reflection of monolithic art form. The Ancient city of Karnataka is believed to be the holy place of convergence between Rama and the Vanara or the Monkey Dynasty. Often referred as the queen of hill-stations, provides relief like an oasis for the equatorial state of Tamil Nadu. Mighty rocks, misty escapes, cascading streams and eucalyptus woods form the heart of this ever popular hill station. Is clearly a haven to escape the dusty heat of the Thar desert of Rajasthan. A fine hill-station that it is, it also cultures some of India's finest and oldest Jain and Hindu temples. Draped in coniferous forests, temperate ambience, and neo-gothic architecture, it is one of India's most priceless possessions. Shimla , the 'British jewel of the orient' houses India's first meter gauge railway and en-route to Kalka, the journey sees you go through 103 tunnels and 806 bridges! The largest town of Sikkim, is located in the foot hills of the eastern Himalayas. Gangtok , a Buddhist heritage centre, is an excellent getaway for eastern India city dwellers,. might just be the perfect ambassador to represent Indian scenic beauty at its juvenile best. The unadulterated charm of the district with silent rivers, lush forest floors, and sleepy slopes looks away, like a shy Indian bride. Sand, fun, beach and laze, hilltops, snowballs, play and gaze. Pick your holiday theme from a handpicked range of India's finest outdoors. A term coined by the British colonizers, to represent a temperate climatic zone amidst the obvious Indian climate. News to many, but hill-stations are as unique to India as the Ko-hi-noor. A closer study reveals that hill-stations not only provides excellent ailment against cardiac complications but also gears you up to take on your boss once you are back to work ! Breathe easy! The thrill, rush and excitement. Give in to the adrenalin. Get in the skin of a jeopardy junk and choose your adventure mood from a host of involvements like skydiving, hang gliding, paragliding, river rafting & trekking. Undo the blues. 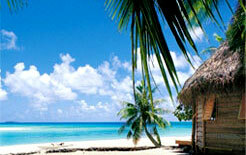 The peninsular India boasts of some of the world's finest beaches. Right from the French feel Pondicherry to the Portugese saute of Goa, the Indian beaches has more to offer than just fun, frolic and sand. Home to a melange of international cross cultures, the beaches are India's greatest recreation joint. Ignite the passion within. A slight grunt and a quiver in the woods. A moment of hesitant silence and a distant roar. India plays host to the world's largest collection of flora and fauna and its time you experienced the true jungle spirit. Cave-in to your deeper desires. India is most certainly the land with the highest number of monuments. What's even better is it's influenced by various cultural styles like the Hindus in the South, to the Rajputs in the West; Mughals in the North to Post Colonials on the Coastal areas; the list is endless. With its majestic architecture and royal aura, the Mysore palace is the crown jewel of Mysore.The Mysore Palace was the official residence of the Woodeyar rulers. The magnificent edifices of Khajuraho represent the artistic grandeur and zenth of Indian architecture. The beautiful temples of Khajuraho leave the visitors awestruck. Sun temple at Konark is yet another example of the magnificence of Indian architecture. One of the wonders of its times, the Sun temple will surely leave you overwhelmed. Dedicated to Sun God, it was built by Raja Narsimhadeva of the Ganga dynasty. Nalanda was a famous center of learning during ancient times. according to the famous Chinese traveler Hiuen Tsang, the university was spread over a large area and had more than ten thousand students and nearly one thousand faculty members of great intellect. It's like that mouth-watering dish that keeps you coming back for more. A collector's series of India's favourite holiday destinations packaged, to suit every need. A must have for every traveller. Splash over and prepare for India's most thrilling beach destination. And to add to it, it breeds more than 18 world class beaches, extra - dry, with a dash of salt! Amidst the wintry snowfall and coniferous pines, lies the land of mysterious paradise, Kashmir. There can be no greater sin for a traveller than missing out on the stunning brilliance of Kashmir. Go bananas over the green effervescence. Recline in the pensive shades of the backwaters or cuddle up in misty hill-stations. Kerala Go Green. To call it the colour capital of India would still be an understatement. A silent camel ride through the filtered twilights is enough to announce the age of the brave and gallant of the yester-years. The blazing chivalry of the bygone empires blend into a fiery taste of sculpturous art, apparent through the corridors of proud forts and monuments. Travel to India to know more about the land of mystical charm! India, the land that has beckoned travelers for thousands of years, is worth traveling to as the variety India offers to its travellers/ travelers is simply unparalleled and remarkable. Be it the spiritual charm of Varanasi, the fun filled beaches of Goa, the backwaters of Kerala, the forts and palaces of Rajasthan, the Lions of Gir or the Elephants of Corbett, you will find traveling to India truly amazing and mesmerizing! India promises to bowl you over by her hospitality and incredible character. 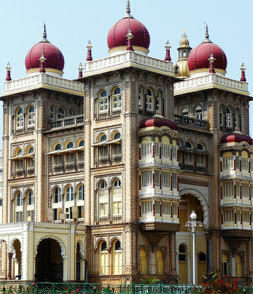 As you travel to India, you will discover more of rustic charm, adventure and excitement. Our India travel guide promises to showcase all the facets of India and make your India travel more exciting!